Twisted Spoon Press, 9788086264356, 248pp. 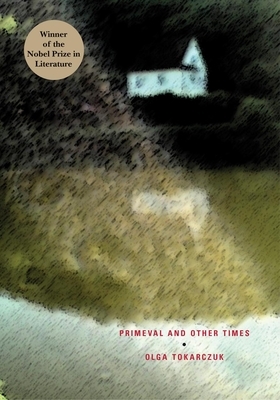 Set in the mythical Polish village of Primeval, a microcosm of the world populated by eccentric, archetypal characters and guarded by four archangels, the novel chronicles the lives of the inhabitants over the course of the feral 20th century in prose that is forceful, direct, and the stylistic cousin of the magic realism in Gabriel Garc a M rquez's One Hundred Years of Solitude. Told in short bursts of "Time," the narrative takes the form of a stylized fable, an epic allegory about the inexorable grind of time and the clash between modernity (the masculine) and nature (the feminine) in which Poland's tortured political history from 1914 to the contemporary era and the episodic brutality visited on ordinary village life is played out. A novel of universal dimension that does not dwell on the parochial, Primeval and Other Times was awarded the Koscielski Foundation Prize in 1997, which established Tokarczuk as one of the leading voices in Polish letters. It has been translated into many languages throughout the world and hailed as a contemporary European classic. -- Tokarczuk has said of the novel: "I always wanted to write a book such as this. One that creates and describes a world. It is the story of a world that, like all things living, is born, develops, and then perishes." Kitchens, bedrooms, childhood memories, dreams and insomnia, reminiscences, and amnesia -- these are part of the existential and acoustic spaces from which the voices of Tokarczuk's tale come, her "boxes in boxes.